20 Celebrities Expecting Babies In 2019: From Carrie to Meghan! Hollywood’s in the middle of a major baby boom. 2019 has some huge things in store for these celebrities. 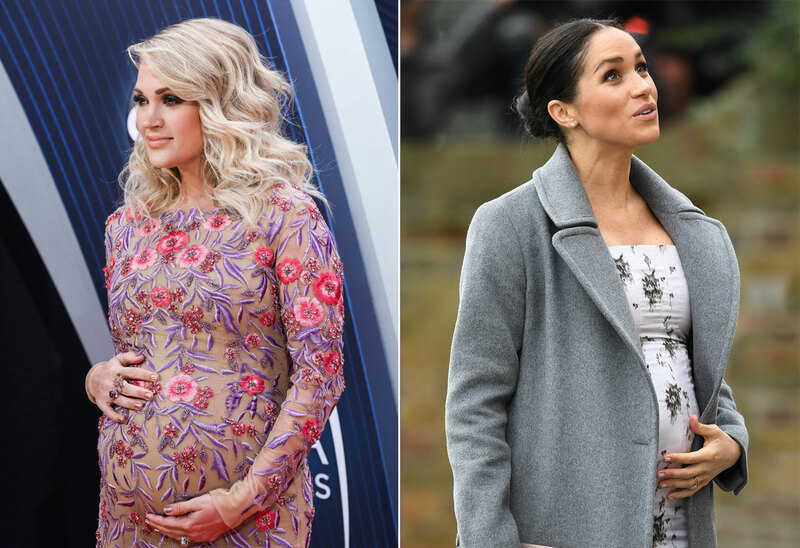 From Meghan Markle to Jessica Simpson, Andy Cohen to Carrie Underwood, these are the stars waiting for babies this year. Click through the gallery for all the info. Meghan, the Duchess of Sussex is expecting her first child with Prince Harry sometime this spring. Jessica is pregnant with her third child after saying she and husband Eric Johnson were going to stop at two kids. It’s a girl! Carrie shared the heartwarming news of her pregnancy in August. She’s having a boy with husband Mike Fisher. Bravo honcho Andy announced his good news on Watch What Happens Live in December. A surrogate will give birth to his first child in the early weeks of 2019. Jersey Shore star Nicole ‘Snooki Polizzi is pregnant with her third child, a boy. Friend and co-star Deena Cortese was supposed to give birth to a baby boy this December, but the baby decided to hold on for 2019! Comedian Amy Schumer is pregnant with her first child and has had some scary complications so far. Real Housewives of Atlanta star Porsha Williams announced her pregnancy in September. Soon after, she revealed her engagement to the baby’s father Dennis McKinley. Former Real Housewives of Orange County star Gretchen Rossi and husband Slade Smiley are expecting their first child together. Gretchen went through four years of IVF. Country star Jason Aldean is expecting a baby with wife Brittany. It’s their second child together. Teen Mom OG stars Catelynn Lowell and Tyler Baltierra are expecting their third child. Swimmer Ryan Lochte’s wife Kayla Rae Reid is pregnant with their second child, a girl. Meryl Streep is becoming a grandma in the new year! Her eldest daughter, Mamie Gummer, is pregnant. The Bachelor family is growing in 2019. Winners Arie Luyendyk and Lauren Burnham are expecting a baby, as is former contestant Bekah Martinez. Arie and Lauren are also set to tie the knot in January. ALL NEW BABY (coming soon 😉) & CATFISH EPISODE TONIGHT! Catfish hosts Nev Schulman and Laura Perlongo are pregnant with baby number 2. Model Lily Aldridge is expecting her second child. Benedict Cumberbatch is awaiting the birth of his first child with wife Sophie Hunter. Singer Kehlani is pregnant with a little girl. Robin Thicke and April Love Geary are expecting their second child. Actor Richard Gere’s 35-year-old wife Alejandra Silva is pregnant. Crazy Rich Asians actor Harry Shum Jr. is expecting his first child with wife Shelby Rabara. Which celebrity babies are you most excited for? Sound off in the comments!